Primely located in the heart of Theatreland, Tredwells offers affordable luxury in a relaxed casual dining setting. Food leans towards the hearty, classic British end of the spectrum with dishes made unique through the inclusion of flavours and ingredients from all over the world. Opening in 2014, Tredwells is the latest arm of the ever-increasing Marcus Wareing empire, overseen by the group's operations manager (and now chef patron) Chantelle Nicholson. Enjoying plum position in the heart of London’s Theatreland – the Cambridge Theatre is a two minute walk, while the Prince of Wales and Royal Opera House take just seven minutes to get to on foot – Tredwells is a more relaxed dining experience, with a number of tables specifically reserved for walk in diners. Dishes are for the most part robust, with many traditional British comfort foods given a glamorous update – think Truffled macaroni cheese and Gin and tonic cheesecake. It is not simply classic British fare, though. The restaurant’s own descriptive tag is ‘modern London cooking’, and the menu delivers exactly this; like London itself, dishes are significantly improved by a variety of influences from other cultures. A swiss chard pancake comes with coconut, turmeric and cashew, Gloucestershire lamb rack is served alongside chickpea, harissa, watercress and crème fraîche, while Creedy Carver duck breast with mushroom, tamarind, spelt and black garlic and English strawberries, smoked mascarpone and Thai basil are among some of the other highlights. Indeed, like the food the cocktails, too, are innovative twists on old favourites. The New Fashioned is rye whiskey mixed with bitters and marmalade, while a Down the Apples & Pears is a refreshing mix of vodka, apple, pear and thyme. 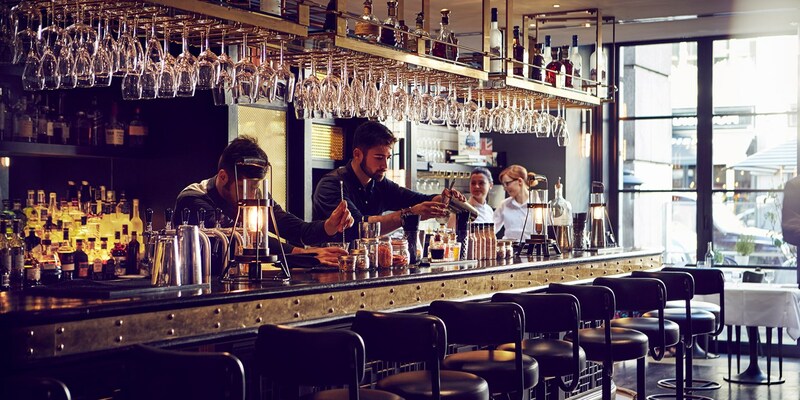 The cocktail list was devised by bar manager Nick Chang alongside the bar manager at The Gilbert Scott Dav Eames, and is constantly evolving. 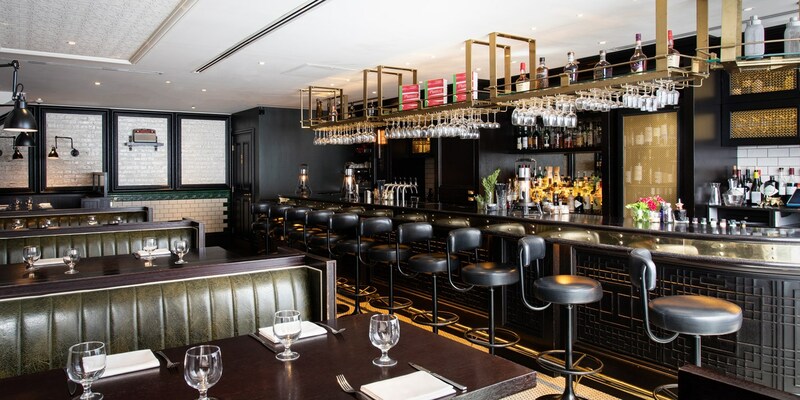 Despite the menu’s premium twist Tredwells is exceedingly affordable, with a reasonably priced pre-theatre express menu and a ‘junior menu’ for children. Set across three floors, the venue is airy and spacious, with plenty of natural light playing against the somewhat New York-influenced dark wood and dark green of the interiors. 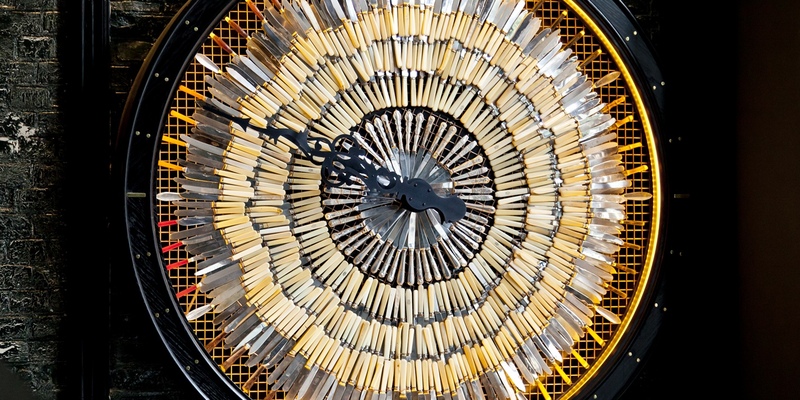 Already famous and hanging impressively along one wall is the vast Tredwells clock made out of vintage knives - helping not only to add to the stylish surroundings, but also no doubt ensuring its pre-theatre diners make their shows on time. The restaurant supposedly takes its name from the butler, Tredwell, a character who appears in two Agatha Christie novels: The Secret of Chimneys and, appropriately given the restaurant’s location, The Seven Dials Mystery. Not just accessible in terms of price, the menu at Tredwells is clearly labelled to denote vegetarian and vegan dishes along with an extensive key system for possible allergens, from gluten, nuts and dairy to molluscs, celery and sulphur dioxide. On Sundays diners at Tredwells are treated to live music from the restaurant's pianist. 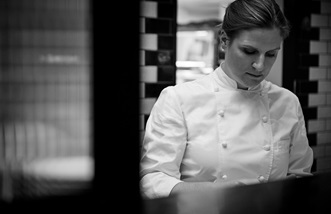 From New Zealand law student to group operations director and now chef-patron of Tredwells in London, Chantelle Nicholson’s hard work and determination has seen her rise through the ranks of Marcus Wareing’s restaurant empire. By setting up, running and cooking in some of London’s most popular restaurants, she knows the industry inside out.